* Year 3 Contract with FDDC for the Route to Self Determination Training Project. Our fingers and minds are keeping busy, even while the temps outside drop! Let me know if you have an agency in mind that might benefit from Arts In Action’s services! Remember we do more than grant writing! Let us know if you have a need for a new website design, meeting facilitation, communications support for public relations or social media, strategic planning and/or digital storytelling! How exciting that some much money is going to great causes! 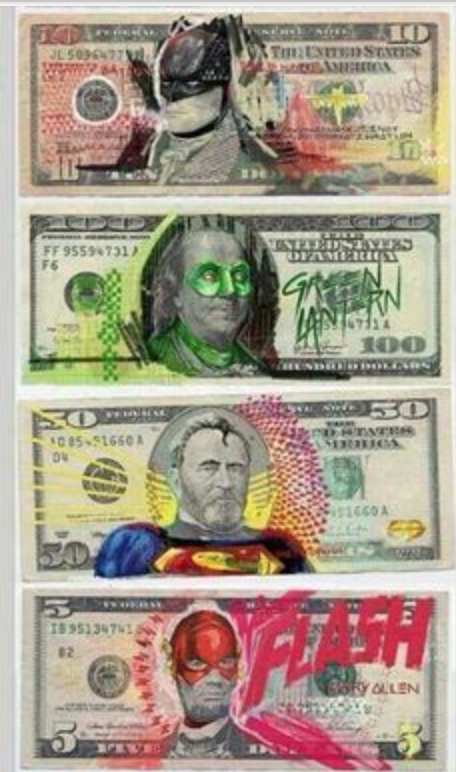 Loved you super-hero money images. Too funny! Makes me think of the new musical twist of Lin-Manuel Miranda’s Hamilton. Thanks for your comment and support Phoebe! 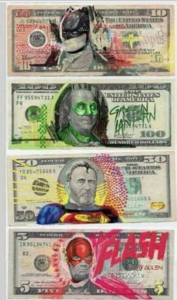 Glad you liked the super hero images! SO APROPOS don’t you think?